The Samsung Galaxy S10 5G got a draw on the camera tests of DxOMark. In practice, this smartphone has gained 112 points, that is, the same overall score of the Huawei P30 Pro. This is undoubtedly a great feat and some considered very difficult. But after all, how does the Galaxy S10 5G tie and the S10 + get behind? What helped make the difference was a small sensor called Time of Flight (ToF)! The tests that were made available this morning by DxOMark confirmed the draw. The Samsung Galaxy S10 5G comes with a camera arrangement similar to Galaxy S10 and S10 Plus. All include a 12MP sensor with variable aperture lens, 16MP ultra wide-angle sensor and a 12MP telephoto lens with 2x optical zoom. 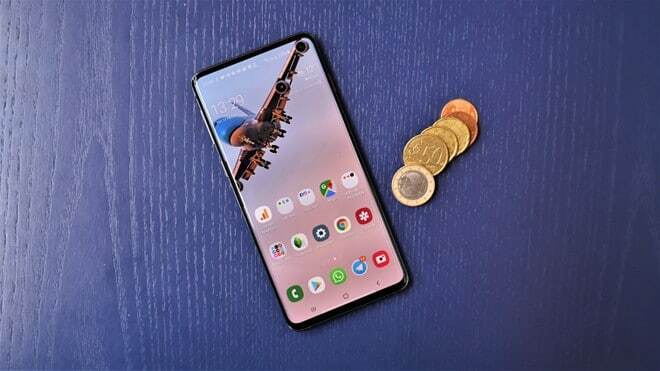 However, the Galaxy S10 5G also features a Time of Flight (ToF) sensor on the back, supporting augmented reality applications as well as bokeh photos. It was undoubtedly this sensor that helped the S10 5G to get three extra points on the Galaxy S10 Plus. The main features of the Galaxy S10 5G camera include autofocus, flash and exposure, all with a high score. There were 90 points in the DxO. Already the score in the photos with the sought-after bokeh effect were 70 points, which corresponded to the P30 Pro and was five points above the Galaxy S10 Plus score. Meanwhile, the S10 5G achieved 117 points overall in the camera and 100 in the video, where autofocus and video stabilization were among the highlights. The S10 5G ensures footage without shivering. At the level of the video texture of the S10 5G, the results were very good. 70 points against the 58 of the P30. However, the P30 Pro has been eye-catching in the zoom. 95 against 74 points. Of course, this is not mind-boggling, considering that the P30 Pro has a 5x optical zoom as opposed to a 2x optical zoom of the S10 5G. In fact, it was a real derby that put these gadgets side by side in terms of specifications. How will it all stay when the S10 + gets a software update that promises the night mode? It’s too early to tell.